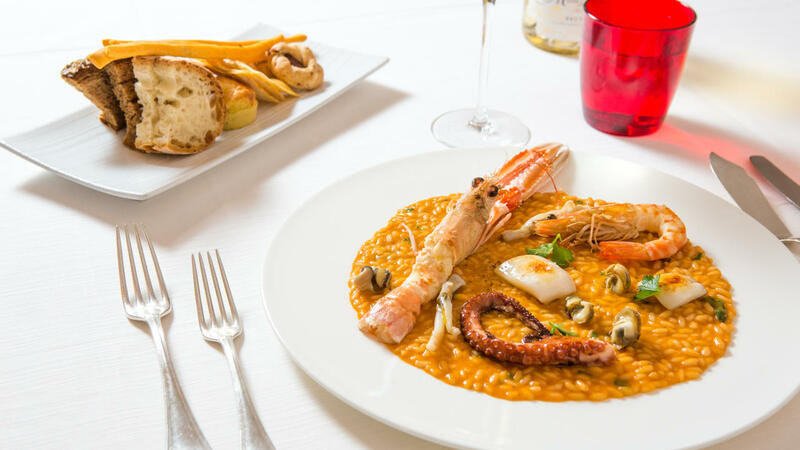 Those who are undecided or nostalgic can opt for the “La Tradizione” menu which includes true classics like octopus, redfish, Spaghetti with garlic, olive oil, pepper and squid, and pistachio Crostata. “Il più richiesto dai romani” (The most in demand by the Romans) is a selection of the most popular dishes from Chinappi’s regular customers. The “surprise menu” consists of different courses personally selected by owner Stefano Chinappi. His decades of experience mean you’ll have a meal composed of the best of the day’s ocean bounty.